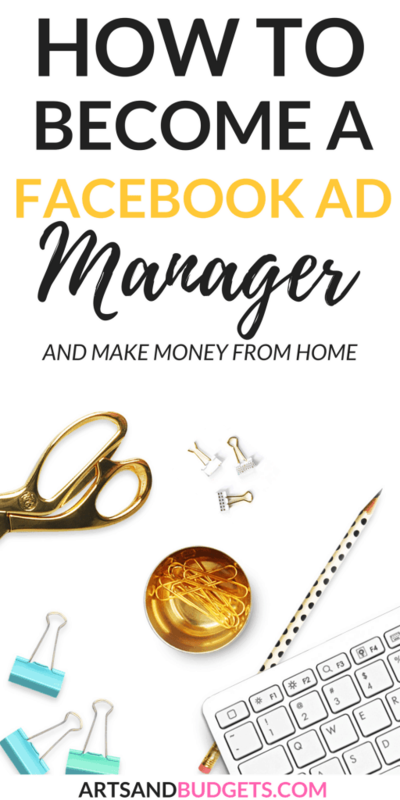 Today I have an amazing interview that will show you how to become a Facebook ad manager and make money from right from home. I recently got the chance to interview Becky from Splash Owl Media, who is a full-time Facebook Ad Manager/ Blogger. 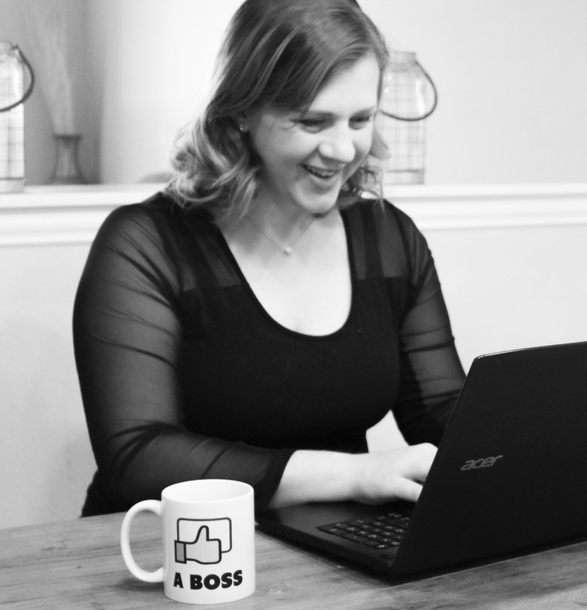 In the interview, Becky shared her top tips on how to become a successful Facebook Ad Manager and make money from anywhere She currently makes $1000 per Facebook Ad Campaign that she works on and I think that’s totally rock star. 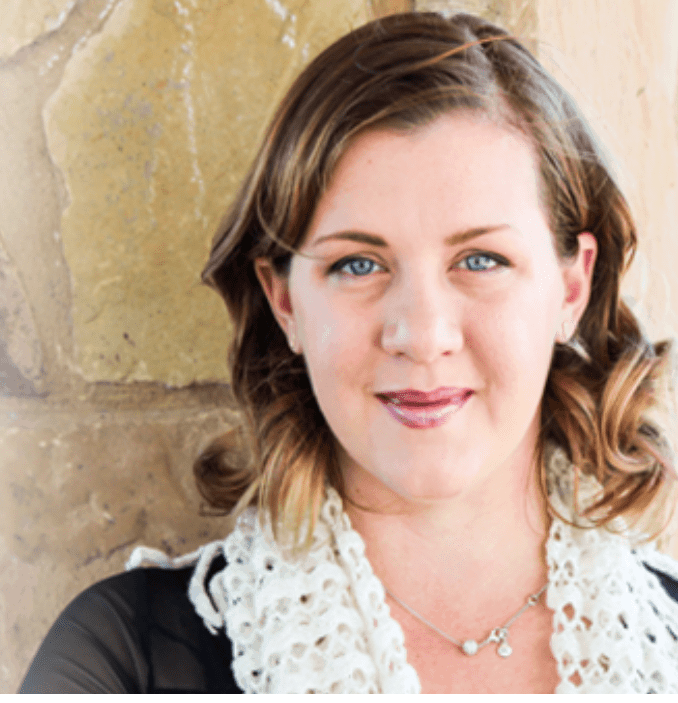 She also teaches creatives how to succeed with Facebook Ads with her popular Facebook Ad Toolkit that I highly recommend if you are looking to get started with Facebook Ads this month. So, if you are looking to get a start with Facebook Ads check out the interview below. 1. Please give us a little background about yourself? How did you get started as a Facebook Ad Manager? How long have you been a Facebook Ad Manager? I’ve been in the marketing industry for over 10 years. Throughout my career, I worked for different ad and marketing agencies. In September 2015, I found myself jobless during my maternity leave. I decided I wanted to serve other women entrepreneurs so I started my company Splash Owl Media. I started in Facebook Ads about 8 years ago when direct mail campaigns started falling off and everyone was switching to a digital advertisement. Now, I focus most of my efforts into Facebook Ads but Splash Owl Media is a full-service marketing agency. 2. What type of training/skill does an individual need if they are interested in becoming a Facebook Ad Manager? Joining a trusted program is key. I came from a corporate atmosphere so it was more hands-on training for me. But I still enjoy taking courses to ensure I’m staying up to date and relevant. Jon Loomer has a wonderful membership site that won’t break the bank. He trains individuals to become Facebook Ad Managers. I’ve also heard wonderful things about Cat Howell. In all honesty, I learn best by doing. I read about a new change or approach, I implement it, track the results, and draw my conclusion about that method before ever trying it with my clients. 3. What exactly does a Facebook Ad Manager do? Who can they work for? What does a normal day look like? A Facebook Ad Manager listens to the clients’ goals or objectives for a specific campaign, they build up the strategy, build the campaign, create audiences, create the copies and graphics, research that specific market and if the offer the client has is relevant, can evaluate landing pages, test the ad sets and ads, optimize the analytics, and continue to provide ongoing maintenance to a campaign to ensure the client pays the lowest possible cost per conversion. There are a variety of Facebook Ad Managers and each serves a specific niche. Finding someone who has narrowed their focus to serving a specific niche is key. This means they are familiar with the targeting, what copies and graphics work best for this market, and how to position the campaign. Working with someone general usually equals a massive waste of money. My days are sections out each week. Usually, I talk to clients Tuesdays and Thursday for our strategy calls or discovery calls, I’m available via Messenger, Voxer, and email. Mondays are my “report” days. This is when I like to send my clients a breakdown of their results, analytics, and any recommendations I have for their campaign. Most of the time I like creating videos as not everyone knows what I’m looking at or talking about when I use specific terms in an email. Video allows me to walk my clients through a specific section or give an overview. Each more and evening, I’m checking the campaign to ensure the conversion continue to stay as low as possible. 4. Where can a new Facebook Ad Manager find jobs online? Facebook Groups are a really great resource. There are also sites like Upwork and Freelancer.com that include job posting. It really depends on the niche you want to serve. Many brick and mortar businesses are located on local networks, local Facebook Groups, LinkedIn, etc. Online Entrepreneurs and coaches primarily hang out in Facebook Groups. 5. How much can a beginner Facebook Ad Manager except to make in the beginning? How much can they expect to make after one full-year of freelance writing? How much can a well-established Facebook Ad Manager make per day? I started off charging $450 per campaign. As my client base grew, I adjusted my package rate accordingly. Now I charge a minimum of $1k because that comes with my expertise and success rate of my past campaigns. As a beginner, it really depends on how much time you have to dedicate to building your client funnel (bringing consistent new clients each month) and how many campaigns you’re comfortable working on at one time. 6. What are the best tools for a Facebook Ad Manager? I highly recommend Clickfunnels (but I’m also a funnel strategist on top of Facebook Ad Manager). Canva or Adobe Creative Cloud (primarily Photoshop and Illustrator). I also recommend using Leadsbridge for Lead Generation campaigns. You’ll also need a good scheduler such as Calendly or Acuity. I also use Trello as my project management tool, Wave Accounting as my invoicing and accounting software, and Google Suite. 7. What do you like best about being a Facebook Ad Manager? What has it helped you do? I’m a very creative AND analytical person. Art and numbers excite me. Working with Facebook Ads allows me to tap into both sides of my brain. I also LOVE working with my clients. Literally helping someone achieve amazing results is like winning the lottery. This business has also allowed me to stay home and watch my kids grow up, set my own work hours and be there more for my family: financially and physically. 8. What has been the best platform(s) to promote your Facebook Ad Manager business and why? I’ve promoted on LinkedIn and Pinterest but they didn’t yield good results for me. I would recommend using Facebook Ads. Showcase your talents by using ads for yourself. I promote my business about 90% of the time on Facebook. It’s where my ideal client hangs out. 9. How much does it cost to start a Facebook Ad Manager career/business and how much does it cost to maintain it on a monthly basis? It can be fairly inexpensive. Starting up you’ll need a website, laptop/desktop, phone, scheduler, and possibly a project management system (however Trello does have a free version). I started an LLC on top of all the other basic overhead so it was probably around $500 to start my business. Now I have employees and other tools I use to keep my business growing so it’s a bit more expensive now. 10. What are your go-to online resources for a beginner Facebook Ad Manager? Jon Loomer is a wonderful resource. Social Media Examiner. Amy Porterfield’s podcast. There are a lot of free resources to get you started but ultimately you want to invest in a good course. Jon Loomer’s program is fairly inexpensive compared to other similar courses. 11. Any additional tips or resources you would like to give someone interested in becoming a Facebook Ad Manager? Never stop learning and growing. Facebook (like all digital marketing) is constantly changing and evolving. But don’t get too overwhelmed or distracted by all the “new methods” or “new trainings” or new tools. Most of these will just be a waste of money. Finding a trusted company is key. Learned so much and found this really helpful and now ready to explore this more. Thanks so much! I enjoyed doing this interview. Please let me know if you have any more questions about FB Ads. Learned a lot in this post. I didn’t even know FB managing was a thing. Thought you paid your money for sponsored ads and then cried over the waste later. ? Good to know there can be more to it. Haha, yes, Alexandra, that sometimes happens to those who don’t learn how to do FB ads correctly or who don’t hire someone to do them for them. It can be a massive waste of money when done incorrectly. Please let me know if you have any questions and I’d be happy to connect. I really like this interview. There are so many ways freelancers can work online. There is no limit to the possibilities. This post gives me the confidence to learn more. I don’t run ads for myself, only because of my inexperience; however, I know who to talk to now if I need the service/some advice. Becky gave some really great feedback for your questions. I love seeing how many opportunities are out there these days for side hustles and work from home jobs! Great options for us SAHMs that want a little bonus income. It’s great to hear about this, I didn’t even know it existed. This is a great idea for SAHM to earn some extra money. Thanks, I learned a lot from reading this!! Wow, this looks like a brilliant job! I’d love to be able to work 100% from home. This is so interesting! I’m always looking for potential new streams of revenue and I may have to look into this. What a great interview! Very informational. I had no idea Facebook Ad mangers were a thing. This is great information for peolple like myself who are trying to grow their blog/business! I’m always looking for more ways to earn some extra money. I’ve never thought about doing the FB ad manager, but I’m going to have to look into this now, as I think I have the skills and tools to be successful. Thank you! This is such a resourceful article! I feel like I am running in circles with my Facebook ads, maybe time to hire someone who knows what they are going! Great post! Im learning fb ads for my side hustle. Just put out a bost post on tuesday. I going document my journey of by using my side hustle. This could also lead to a second side hustle down the road! That sounds like a great plan! I have numerous friends who use Facebook ads and have made a great amount of income from them. I will be testing some out this year as well. Seems so interesting! How long does a typical ad campaign last? Is there maintenance involved once you’ve agreed with a client to do the ads? As in, do you have to keep creating content for them?